League leaders Glenafton ‘s unbeaten league run came to a humbling halt at Hamilton Park as they shipped five goals to the second from bottom Seasiders. Stuart Peacock put the home side ahead and their tails up as early as the second minute, heading home an inswinging corner. Paul McKenzie tried to respond for the visitors, dribbling his way in from the right flank but his shot at goal missed the target by inches. Another corner kick and another goal for Girvan with former Arthurlie striker John Bradford netting with a diving header on 15 minutes. Again Glenafton responded well and Darren Johnston in the Girvan goal performed acrobatics to deny Gareth Armstrong from close range. However, the Seasiders surged forward and John Bradford got on the end of a Neal Gilmour cross to head flick his second and Girvan’s third goal. 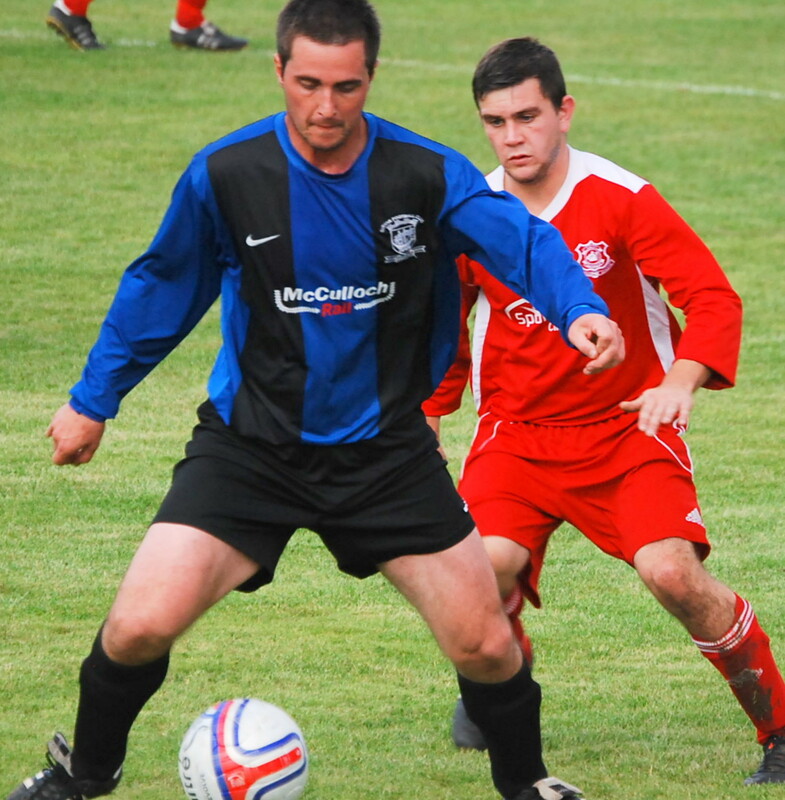 Former Girvan player Ian Cashmore came on for the injured Armstrong but it was former Glenafton player Scott McQuade that was next to net , his deflected shot on 37 minutes beating keeper Ally Semple. McKenzie tried to pull one back before the break for the vanquished visitors but Johnstone had the measure of him with a fine save. H/T Girvan 4 Glenafton 0. Both the sides that could have leap-frogged the Glens in the league also lost today, Ardrossan Winton Rovers going down 2-1 at home to Thorniewood United and East Kilbride losing 5-1 at Shotts, and so the New Cumnock side remain top of the league. This entry was posted in GAFC Match Report and tagged Girvan, Glenafton Athletic, Scottish Junior Football. Bookmark the permalink.